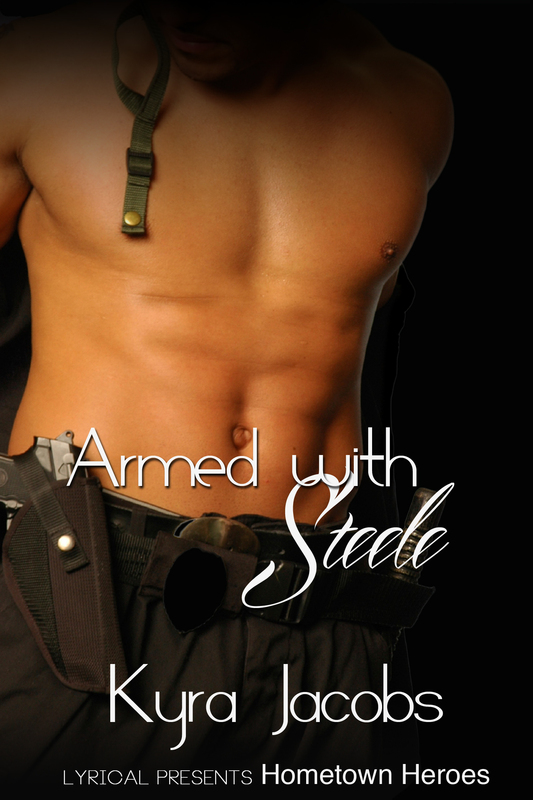 Today I have the pleasure of interviewing two delightful characters from ARMED WITH STEELE the new release by Kyra Jacobs. Welcome! Jessica: Thanks so much for having us on today. I had to drag Nate into the studio kicking and screaming, but he finally saw the light. Nate: More like she threatened me with no se–(Jessica elbows him in side hard)—oof! Jessica: On with the interview! Kylie: I can see you two are going to be fun to interview. (smiles) Why don’t we start out with you telling me a little about your story. Jessica: ARMED WITH STEELE was supposed to be a story about me and my best friend, Grace. She was in a horrific car accident, and I felt so awful because…well, I won’t go into all that. Too hard to talk about. But I knew as soon as Nate described the accident scene that something was amiss. Nate: Meaning, she didn’t think I did a thorough enough investigation. Jessica: No, I just didn’t think you, uh, explored all the avenues. (Nate rolls his eyes) Anyway, I was all determined to figure out what happened, and then Kyra drops this gorgeous hunk of a cop into my life. Needless to say, the story took a hard turn at the intersection of Suspense Street and Romance Road. Kylie: I have to admit that Kyra certainly knew what she was doing when she introduced you to Nate – whew. Kylie: (turning to Nate) Jessica did a lovely job of summing up her view of things, but now it is your turn for a question. How would you describe Jessica? Let’s see if you can do it in one sentence. Jessica: Hey, that’s not a sentence! Nate: Okay, how’s this: Jessica is a twenty-five year-old beauty living in Fort Wayne, Indiana who possesses the snark of Stephanie Plum, the ingenuity of MacGyver, and the compassion of, um…. Kylie: So, Jessica, what attracted you to Nate? Jessica: Ooo, my turn. Hmm, that’d be his uncanny sense of timing. Nate: It wasn’t my fault you were speeding in chapter one. Jessica: And that time you just happened to be jogging by my house? Nate: Hey, that visit nearly got my head cracked open with your softball bat! Jessica: I rest my case. Kylie: Ahem…remember me? You know, the one doing the interview? Let’s get back on track here. Did Kyra listen to music while she wrote? If so, what songs were playing? Jessica: I don’t really remember Kyra ever playing music for us. Do you, Nate? Nate: Nope. Though, she did have Boston’s “Peace of Mind” listed in an early draft. It’s one of her favorite songs. Jessica: (giving Nate a flat look) And how do you know so much about what music Kyra likes? Nate: Uh, next question, please? (Puts hand up to hide his face from Jessica and adds in a whisper) Did I mention Jessica’s also a bit on the jealous side? Kylie: Moving right along… What do you do when you are not writing? Jessica: Most of my writing is just copy edits for what my clients ask to have put on their websites. Oh—that reminds me! Wait until you hear about Kyra’s next romantic suspense: FLIRTING WITH FIRE! It’s going to be awesome! And yours truly will get some page time as well! Nate: Oh, come on, Jess—you know they’ll all watch for the second book because I’ll be in it, not you. Everyone loves a man in uniform. Jessica: Actually, Nate, they’ll all watch for the next book because of a certain smokin’ hot fireman named Torrunn MacKay. Nate: (scowling as he crosses his arms) Looks like I need to have a little talk with T after we’re done here. Set some boundaries. Jessica: Now who’s the jealous one? Kylie: I’ll definitely be watching for the new book. Torrunn MacKay, you say? Sounds intriguing. But, let’s not get too sidetracked, okay? Jessica, do you consider yourself an introvert or an extrovert? Why? Jessica: Oh, I’m definitely an introvert. Grace is the extrovert, as is Nate. I just lurk in the shadows. Oh wait, no, that’s Nate, too. Jessica: (mumbling) …and it better be the last… (she clears her throat and flashes a brilliant smile at her host) Kylie, thank you so very much for having us on today. Truthfully, we get kind of tired being restricted to the pages of an e-book. It’s nice to get out and stretch from time to time, isn’t it babe? Nate: That depends—do these “stretches” involve Torrunn MacKay? Jessica: Okay, looks like I’d better get back to ARMED WITH STEELE before Officer Steele trumps up another imaginary traffic violation on me. Nate: The light was red, Jess. Jessica: Orange. 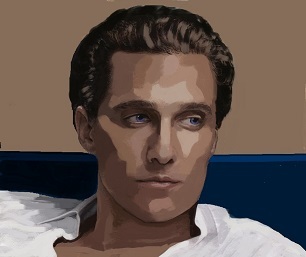 Burnt sienna at most. Nate: *sigh* See you around, Kylie. And do me a favor—don’t run any reds in my city, alright? I’ll be watching. Kylie: No red light running. Got it. Although, I have to admit the temptation is a little hard to resist. 🙂 Just kidding, Jess. Seriously. You can stop frowning at me. What happens undercover, stays under covers. Jessica Hartley is looking for answers surrounding the mysterious car accident that nearly claimed the life of her best friend. She’s willing to risk it all, even her fledgling business, to find the person responsible and bring them to justice. Nate Steele is more than willing to help Jessica, but for reasons all his own. He’s been watching the infamous Maxwell Office Solutions for some time now, convinced there’s more going on than meets the eye. When his chief issues a cease and desist order yet again, Nate has no choice but to accept inexperienced Jessica as an undercover partner outside the letter of the law. Will Jessica and Nate be able to flush out Maxwell’s elusive villain, or will their growing attraction for each other sabotage their undercover ploy? Motives aren’t always what they seem when Jessica finds herself armed with Steele. CONTENT WARNING: Beware drool-worthy men in uniform, touchy-feely coworkers, and vindictive ex-girlfriends. 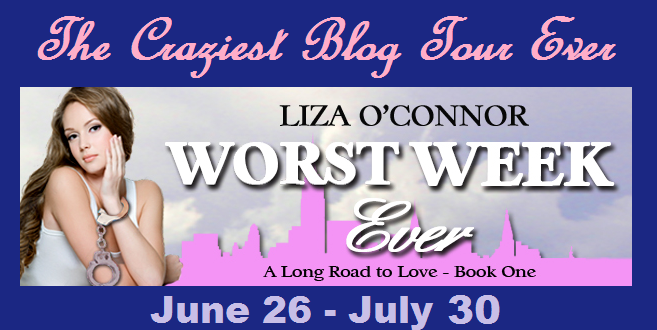 Today, I’ll be interviewing the characters of Worst Week Ever for their Worst and Best moments during a week so horrible, yet fun, that Liza O’Connor felt compelled to write a book about it. Kylie: So, let’s start with Carrie, Executive Assistant to Trent Lancaster of Lancaster Chairs. Trent: Hold on, I’m CEO. You should start with me. Kylie: *rolls eyes* Fine, ‘gentlemen first’ then. What’s the worst thing that happened to you this week? Trent: It was the moment I saw a file cabinet tipping out of the 5th story window of my office and Carrie standing like a mindless twit, picking up papers, exactly where it would fall. In that moment, I saw the destruction of my life and the end of any chance for happiness. Kylie: Has anyone ever mentioned you come across as a mite bit self-centered? Trent: Do you want to hear about the worst moment of my life or not? Kylie: Of course. Go ahead. Trent: Unable to bear the possibility of losing my EA, I ran, without thought to my own safety, snared Carrie by the waist and saved her life. Then some idiot policeman arrested me. Evidently, they don’t like good Samaritans. Kylie: And what was your best moment? Trent: Were you not paying attention? I just told you. Carrie, make her understand. Trent: Exactly! Why is Carrie the only one who can understand me? *he grips her hand* But you see why I’ve decided to keep her with me, wherever I go. Kylie: Because you can’t make yourself understood otherwise? Trent: No! A Lancaster doesn’t have to explain himself. But in this case I will. I have to keep Carrie close by so I can keep her safe. You’ve no idea how much trouble she got into this week. Carrie: *pulled her hand away* My first arrest was entirely your fault. As was the reason your phone ended up in the hands of a drug dealer. And what about you hiring a FBI agent to commit a crime? That was all your doing. Trent: *frowns* When did I get you arrested? Oh the airport. *returns focus to Kylie. * Did you know that Airport Security will arrest you if you buy a ticket to Peru, enter the international section, but don’t actually go anywhere? Carrie: He bought the ticket so he could get past security and wait for me at my gate. Trent: *shrugged* I desperately needed my EA back. Kylie: And Carrie, what was your best and worst moment? Carrie: There have been so many this week. I think my worst moment was making those narcotic turtles. I almost caused three people to die over that fiasco. Carrie: Mars, your penthouse butler, Jack, your only working systems guy, and Sam, your driver. Trent: *frowns* Well, at least that Jack fellow will stop demanding turtles to do his job now. Kylie: Hold on. I just got a text message from Liza. She doesn’t want you to discuss that matter. Carrie: Oh, okay. Sorry Liza. Well, I was really happy when the police let me go without charging me. Evidently what I did could have gotten me 6 years in a federal prison. Trent: *snorts* She, who actually did something wrong, gets off scott free and I had to pay a million dollar bond to get released. Carrie: *Stands up and glares* Trent Lancaster! If you repeat your outrageous and totally untrue claim as to why I got off, I am never doing another interview with you again. Kylie: I guess this concludes my interview with Carrie and Trent. Trent: You should say Trent and Carrie. Kylie: *shakes her head* You two are an odd couple. Trent: You mean because she’s only four feet and I’m six feet tall? Carrie: *crosses her arms and grumbles* I’m four foot six. Trent: *Pulls Carrie to his side and hugs her* Doesn’t matter. I think you’re perfect both inside and out. Carrie: *smiles at Trent, then Kylie* Just when I’m about to lose my temper, he’ll say something so sweet that I can’t help but forgive him. I can see a very good man in Trent. He doesn’t realize how he often comes across. His father was a terrible role model. Book 1 of the 3 book series A Long Road to Love. 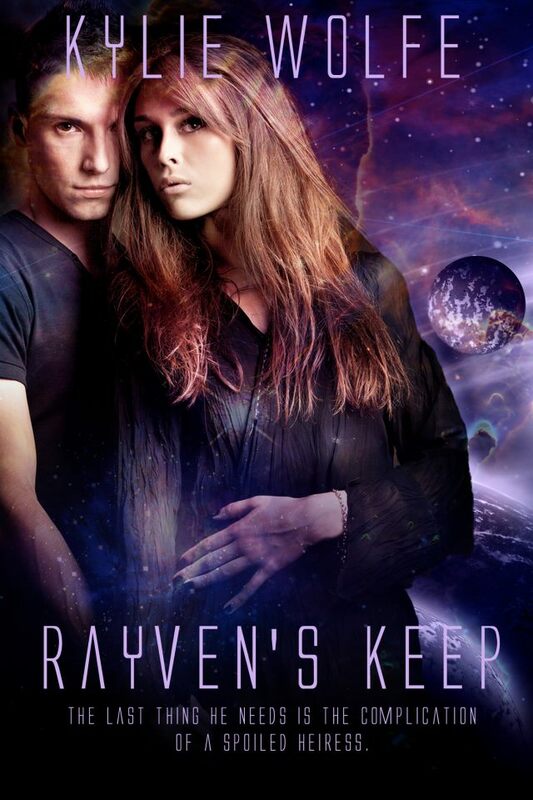 Closing his eyes, Trent enjoyed the pleasure of Carrie’s body pressed against his. His eyes popped open in horror. Oh God, David’s right. I am besotted. Statistically, his relationships never lasted more than a month and they always ended badly. A billionaire who couldn’t make a relationship last more than a month. How horrible did he have to be to chase off women who had a billion reasons to stick it out? If he became involved with his most valuable employee, in a month, she’d dump him and quit. Then his business would collapse into chaos and he’d finally prove his father right. The old man constantly claimed Trent was a worthless human being and the world’s worst businessman. And then Carrie arrived and single handedly saved his company. She never gave up. If one solution failed, she’d find another way to resolve the problem. He smiled at his sleeping EA. If anyone could make him into a better man, it would be her. Carrie could solve any problem, had the patience of a saint, and the determination of a pitbull. Best of all, she loved a challenge. Don’t forget to leave a comment and provide your email address to win one of the tour prizes.